How much money should you budget for a week trip to New York City? You are here : New York City Travel Tips » Before You Go » How much money should you budget for a week trip to New York City? Determining a budget for a trip to New York is quite complicated. You must take into account various expenses, some are more important than others. Anyhow, I'll try to give you some clues. I will define three types of budgets (tight, average and large budgets) for a couple who decides to stay a week in New York (7 nights). It is an estimate of what could be spent, based on my own experience. At least I try to give you an idea of how much your budget should be. ├ How much does a flight cost to go to New York? ├ How much does it cost to stay in New York? ├ How much does transportation cost in New York? ├ How much money could you spend for meals? ├ How much do visits, attractions and shows cost in New York? ├ How much does a shopping session in New York cost? ├ What are the other expenses that can be spent in New York? └ In the end, how much money should you budget for a week trip to New York City? Firstly, you must consider when you want to go to New York City. The flights and accommodation rates vary depending on the season. The cheapest season is from January to March. The seasons that attract more tourists are when there are school holidays (Easter, summer, Halloween, Thanksgiving, Christmas and New Year). The accommodation is another factor to care about. The place where you will stay, and comfort and services you want. You can start at around $90 a night up to $250-300 or a few thousand dollars for high-end hotels. The lifestyle you want in New York also matters. You may don’t mind about eating sandwiches, going out at night or shopping; your budget may be more limited than a couple who wants to dine in restaurants, see a show on Broadway ... and visit many places. - extra expenses (bars, cakes...). How much does a flight cost to go to New York? I know you read me from different countries, and I cannot easily compare the cost of a flight ticket from London, Sydney or Berlin. For those who read me from the United States, the price categories that I am going to give below do not apply, because domestic flights are usually much cheaper than international flights. However, if you go on vacation outside school holidays, you will get cheaper rates. But still, you can review the fares of some airlines which propose offers throughout the year. The key is to check rates often, sometimes it can be useful to register to an airline’s newsletter and receive special offers notifications. If you notice a promotion, you can also inform me, and I’ll publish it in this post. From $450 to $600 per person, or $900 to $1200 for a round trip if you go with your partner. The median fare for airline tickets ranges from $650 to $800 per person, or $1300 to $1600 for a couple. You can spend much more in high seasons or if you want to travel in higher classes, in this case, consider a budget of about $900 to $1200 per person, or $1800- $2400 for a round trip for a couple. How much does it cost to stay in New York? Again, it is a bit difficult to give you a very precise cost. New York City attracts a lot of tourists, the rates vary from month to month. You can find a room at $150 off-season, and pay $250- $300 for the same room during the high season! In addition, you have to take into account where you would like to stay, the number of travelers, comfort and services. You can find a room in a house (like in Wimdu or AirbnB), stay in a hostel (see in Booking). The night costs from $45 to $50 per person per night, or $630 to $700 for a week with your partner. 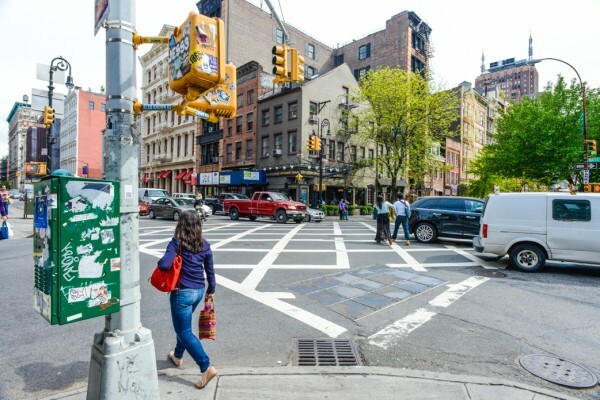 If you prefer to stay in an apartment or hotel near Manhattan (Queens, Brooklyn, Harlem Long Island City), or if you want a budget apartment in Manhattan, you can find something between $130 to $200 per night, or $910 to $1400 a week for a couple. If you want a hotel well located in Manhattan, or a high-end apartment, you could spend about $250 per night in a Times Square hotel up to $8000 a night in a suite of a large hotel in the city. Let's say, usually, prices range from $250 to $400 per night, or $1750 to $2800 per week for a couple. The first expense you will have in New York is the transfer between the airport and your accommodation (JFK, Newark, La Guardia). The cheapest way is public transportation with the Airtrain and subway because it is equivalent to $16/person round trip, or $32 for a couple. You can also book a taxi shuttle, about $ 23/person, or about $90 per couple, the round trip. Another option is the taxi or a limousine. It can cost from $50 to $170 for a one-way trip. Once in New York, if you stay a week, it is best to buy an Unlimited Metrocard. It costs $32 per person. Yellow cabs can be very practical ... and they are so mythical! They are available 24 hours a day in Manhattan. A trip can cost between $8 and $10, it obviously depends on the distance. There are also green taxis, I give you more information in this article. They cost the same, the difference is that they go to areas where yellow taxis do not. I want to draw attention to those who decide to stay in New Jersey. They must add the price of the PATH (train from New Jersey to NYC), it costs $29 /person, unlimited travel for 7 days. If you don’t stay close to a PATH station, you can take a bus, rates vary depending on the distance. If you leave the airport using the Airtrain + metro, for the roundtrip, and only use the Metrocard in NYC, it will cost you $95 for the week if you go out with your partner. If you reserve a shuttle for the airport transfers, buy the Unlimited Metrocard for NYC, and take 2 to 3 times a taxi, count an expense of $170 to $185 for a week with your partner. If you prefer to book a limousine from the airport to your hotel, then a taxi to return to the airport, the Metrocard unlimited 7 days, and take a taxi 5 to 10 times during the week, your budget would be between $400 and $524 for a week with your partner. How much money could you spend for meals? It is another difficult point to determine. Some may be satisfied with a $3 hot-dog, and others prefer $200 meals at a good restaurant. Eating at a fast-food restaurant varies from $8 to $10 for a main dish + drink + dessert. There are small restaurants or Deli's, in which the main course (pizza, pasta, meat, ...) costs from $10 to $12 per person. A full meal costs $20 - $26 per person. As for restaurants, likewise any big city, some can be very expensive. But there are many with complete menus (entrees + main dish + dessert) between $50 and $60 per person. Note: some hotels have breakfast included in the room rate, with a large selection of food. One breakfast and two fast-food, or $25 to $30/day/person, or $275 to $460 per week with your partner. For a breakfast, a fast-food and a small restaurant, count about $30-45 per person per day, or $460 to $650 per week with your partner. If you want a good breakfast, a small restaurant for lunch and a nicer one for Dinner, consider $50-90 per person per day, or $700 to $1260 for the week with your partner. How much do visits, attractions and shows cost in New York? First of all, I think that for a first visit of New York, the purchase of a Pass is very useful, like the New York CityPASS since it offers the main visits and attractions in NYC. Then, if you want to see an NBA game, whether it's the New York Knicks or the Brooklyn Nets, you could find tickets at $26-40. For a baseball game, it's starting at $20-25, a football game is starting at $40-50. You can read more information here. If you like shows and plays, you can go see a musical on Broadway, starting at $ 65-90 per person. One of the must-see activities in New York is a helicopter flight, starting at $215 per person. It is impressive and allows you to see the whole city from an extraordinary point of view. The key is to buy a visitor's pass, such as the New York CityPASS, it costs $120 per person, or $240 for a couple, and you have 9 days to use it. You also could buy the New York CityPASS, add 2-3 activities as a game, a musical and a helicopter tour. It would cost between $330 and $650 per couple. If you want to make a maximum of activities, in addition to the New York CityPASS, a game, a musical, a helicopter tour, one bus tour and more, it would cost you $650 or more from $1300 per couple for a week. How much does a shopping session in New York cost? It is one of the most difficult budgets to anticipate. Even if your not a regular shopper, the prices in New York are so attractive that one quickly falls into the shopping fever. You can save money going to one of the outlet stores near NYC. For nice souvenirs at a very “wallet friendly” prices, you can go to Cocoblues. If you do not buy much more than souvenirs, count from $30 to $65. With a shopping session in stores like Century 21 and common brands, count from $250 to $400 per couple for the whole week. If you like the high-end clothes, or the shops of 5th Avenue, you may easily spend around $650- $1300 per couple. What are the other expenses that can be spent in New York? Within these expenses I include going to a bar at the end of the day, passing by a bakery during the afternoon... expenses that are not necessary but are part of the vacations. In this category you can count the administrative expenses (ESTA -$14 person- or visa, depends on the countries in terms of price), the passport (the price depends on the countries), and are required to enter the American territory. So, if from time to time you want to eat a typical US cupcake, have a coffee and go to a rooftop at least once a week, count $50 to $65 for a week for two people. If you want to have an "extra" several times a week, consider a budget of $130 to $200 per couple for a week. If you want to go out every day for coffee, go to a bar without forgetting a sweet treat everyday, count from $250 to $330 per couple for the whole week. I prepared a table so you can better read the budgets calculated above. As you can see, you can go to New York with your partner with a little over $2000, reserving the flight and accommodation as soon as possible and limiting your expenses in the city. However, I recommend that you go with a budget of minimum $2200 per couple, to truly enjoy your stay. I would say a minimum of $3500-$4000. In this article, I am not talking about the agencies that offer flight-hotel packages. You can get a good deal on websites like Expedia. To prepare your budget, you can also calculate how much money you spend per week when you are at home: meals, transportation to work, shopping, gas and electricity for example. In conclusion, I hope I have helped you a little with this article, so you can prepare your trip to New York with ease. 4 responses to the post : " How much money should you budget for a week trip to New York City? " Nearby but sometimes you still have to walk a bit. We'll visit NYC from 2-9 April, and we would like to know where can we find best shops with mobile phones, lap tops,tablets at best price.